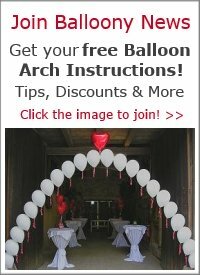 How do I make this organic balloon arch? Hi there! 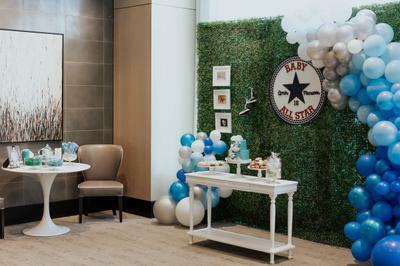 I would like to create a demi organic balloon arch for a baby shower, similar to the one I uploaded in the photo. Can you explain how to best create such an arch? Thank you. 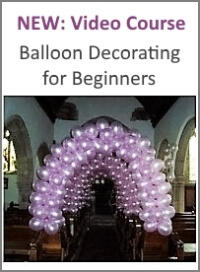 There are two different methods to create such an organic half balloon arch. 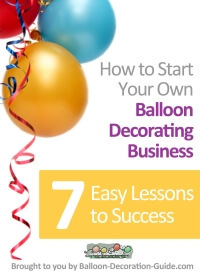 The other method is to create a garland by tying balloon duplets and quadruplets to each other, using fishing line or string, and then attach this garland to a balloon column stand. The garland is longer than the stand, so the excessive length of the garland builds the horizontal part of the arch (which needs to be attached to the ceiling, with fishing line). Hope that helps! Good luck with your arch. I finally did it! 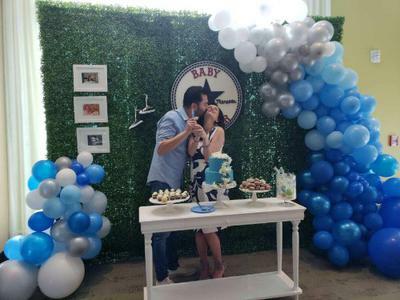 The baby shower that I was doing the balloons for was this past Saturday and everyone loved it! I made it organic and really did the design I orginally wanted rather than the design I sent you a picture of. It was easier doing it this way I kinda winged it as I went along. I didn't use any poles or chicken wire since I was able to attach the balloons to the wall using fishing wire and zip ties. Thank you so much for answering my questions! I was so nervous about doing the balloons and you really made me feel at ease. I didn't take a whole lot of pictures since I was running around but see the attached picture I was able to capture. 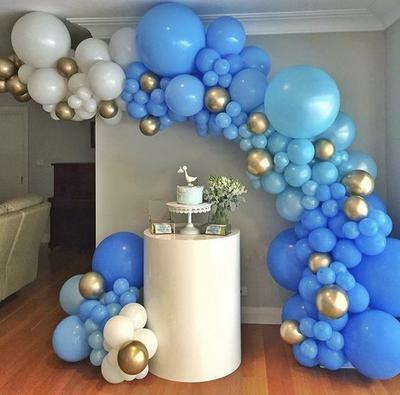 Comments for How do I make this organic balloon arch? Reply to Tame - What type of balloon? 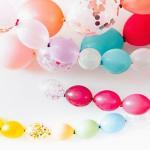 What a wonderful idea to make an organic balloon arch / garland for your son's first birthday. The apparent "thickness" of some of the balloons used is because they are double stuffed, i.e. one balloon inside another one, in two different colors. You can see this about 1:30 minutes into the video that's on this page. As balloon brand, most of the professional decorators use Qualatex. Hope that helps! Would love to see a photo of your organic garland. 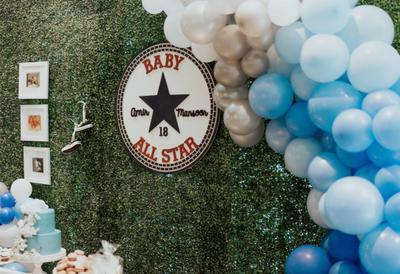 Hello, my son is turning one and I would love to make a balloon garland like this one. I noticed that the balloons you used are thicker and matte than normal balloons. What brand are they? What do you recommend? Thank you so much. How many balloons were used to make the organic arch shown in the video? It looks so professional and beautiful. It seems difficult to make but it is not. TO understand better I will suggest to watch the video. Great tutorial and brilliant idea on the standing pole. Love it, thanks for sharing!